Bodacious bonbons, chocolate-covered strawberries and 24K rosé bears are just some of the ways to set the mood this Valentine's Day—coming up next Thursday, February 14. Pick up a box at Rockefeller Center while you're shopping for Valentine's gifts, or on the way to a date. We've got lots of ideas. La Maison de Chocolat: French chocolates and romance just go together. This boutique chocolatier presents three chic selections for Valentine's Day: the Carousel gift box, illustrated with a whimsical view of Paris, and filled with nine dark and milk chocolates (three of them hearts); the almond and hazelnut praline "à la folie" ("crazy about you") bouchée; and the timeless red heart-shaped box. Jacques Torres: Mr. Chocolate is your guy for modern Valentine's chocolates with a playful wink. 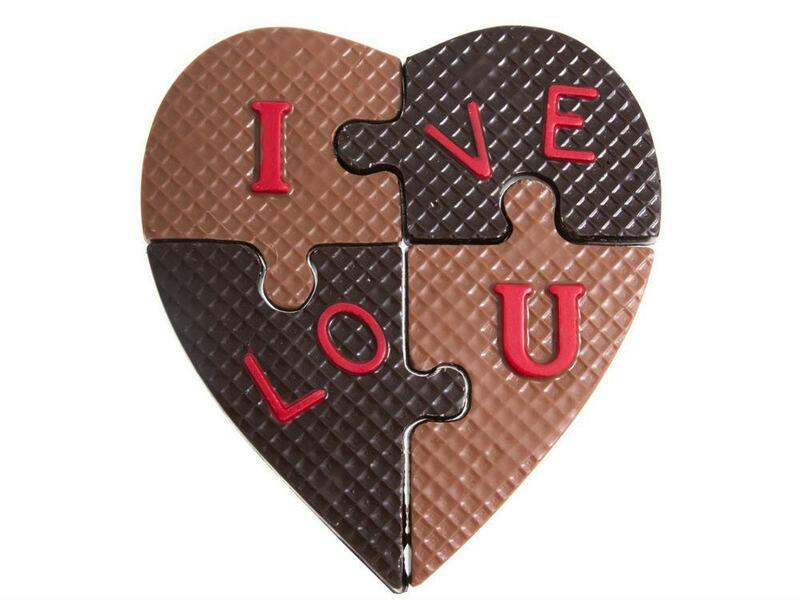 Try the My Heart Is Yours bonbon box (including spicy red and white hearts), Jacques' chocolate emoji collection, or a sweet I Love U dark and white chocolate puzzle. Check out all his Valentine's gifts here, among them an in-store-only chocolate violin. Godiva: Instead of a dozen roses, how about a dozen chocolate-dipped strawberries? A tower of pink chocolate boxes and cupcake-inspired chocolates are more ways to express your affection, and you can see more Valentine's options here. Sugarfina: Give candy with a cheeky, contemporary flair. Clear boxes hold colorful gummies, such as "You've Got Sparkle" pink chocolates made with popping candy, "Kiss Me" sugar lips in cherry, watermelon and strawberry, or rosé bears topped with 24K gold leaf. Design-your-own "xoxo" bento boxes are available too. Magnolia Bakery: Valentine's Day cupcakes in styles like rose (with petaled icing) and red velvet white out are perfect whether you're treating your special someone, sharing with your officemates or hosting a party. There are also pink-iced confetti cakes and heart-shaped cookies. Reserve in advance for pick-up or delivery.